Q) Out of curiosity, if you were to compare your time at Perris Park to your being with the Rovers now, what, other than not being with Renegade, would be the biggest difference between the two? A) Probably at most, the fact that back at Perris Park, we were discouraged from daily habits that normally make up the life of the average dog. This was to consitute our "intelligence" at the Institute, where we were judged mostly on how human like we could be. So, being with the Rovers, it is hard to get used to dog habits ( like one bath a week, whereas in Perris Park it was one every day ) and getting used to leashes and being on all fours. At Perris Park, we couldn't alternate between Canis and Cano form, so it's still hard for me to get used to that, as well. Q) Do you ever think you'll find another lover? A) I know I still have the capability to love. It all depends on if anyone can feel the same way about me. I'll just have to keep looking for now. Q) I have an unusual question. If you had to drive a monster truck, which of these would it be: Bigfoot (F), Blackstallion (F), Carolina Crusher (C), Excutioner (C), Firestone Wilderness (F), Rampage (D), Samson (C), Snake Bite (F), or Wildfoot (F)? D=dodge, F=ford, and C=chevy. A) Honestly, I don't know much on the subject. But, in honor of one of my favorite tv shows, I think I have to go with the All-American Dodge, so I guess it would be "Rampage". And remember, "if your Dodge is on blocks, press 1. If your Dodge is on fire, press 2. If your Dodge is........"
Q) I saw that there is a Perris Lake in California. Knowing that Kylen ( your creator, Alethia, ) is very proud of her state, is that how she got the name for Perris Park? A) No. The name Perris was a modification of "Parris". Kylen Miles's great-grandfather was a trainee on Parris Island. There were swamps and alligators set up around the area to keep trainees from escaping. Those that tried to escape got lost or drowned in the swamps- others were taken by the alligators. Some recruits died during the harsh training. She named the ill-fated Perris Park after Parris Island in rememberance of her great-grandfather and his buddies who lost their lives on Perris Island. Q) I read somewhere once that Alethia always turns three circles before she sleeps- but it was mentioned they were not for behavioral reasons. What do they mean, then? A) The three turns are in fact symbolic. They are done out of honor and respect; the first is for my dead father, the second for my missing mother, and the third for my Master. Q) Chavaleh ( the red-headed husky ) comes across as tempermental. I just love her, she is one of my favorite fan chars. She isn't vain, is she? Q) I'm wondering about Alethia's backgound. Where did she come from? How did she meet Ricky? Does she have a family or siblings (besides Beldin)? A) My past is best summarized here. A brand new feature all about my past can be found here at this website very soon. I met Ricky while imprisoned by Dace and his soldiers in "Blessed are the Bleeders". He was a prisoner alongside myself and many others, and was part of group of friends I created there, which also included Dally and Cater the Cocker Spaniel. Altogether we suffered, and tried to stay strong, and we all grew very close over that time. As for my family, my brother, Beldin, was the only member I have been able to locate. He used to work for Parvo, and when the Road Rovers were captured, he discovered me. He quickly helped us escape, and seeing each other renewed our hope of finding the rest of our family. My other sisters, Kee Lee and Luna, and my other brothers, Yoshi and Kamikaze, and our mother. Our father, however, died years ago. A) I enjoy things such as meditation, quiet times, singing, and the like. I also love being there for anyone who needs me. Q) How often is Alethia (oh, and Chavaleh too) on duty at RRMC? A) I myself am on duty as often as the Main Team of Road Rovers are. Chavaleh, however, is an extremely experieced agent, who was the one of the first agents ever established. She lives in canis familiaris form in Poland, and arrives at Mission Control only on special occassions or when she is called for special services and action. Q) You mention the "Sleeping Chronicals" (did I speel that right?) sometimes. Is there anywhere I could read these stories or could you summerize them?thanx! A) "Sleeping Chronicles" :) The stories do exist- I'm just afraid they have never been published on the internet. They most likely will be in the near future. You are not the only person who has asked to read those. "The Sleeping Chronicles" consists of 3 stories: "Death", "Sleep", and "Awakening". In the first edition, I am shot and killed on one of the Road Rover missions, and die. It follows my journey into the afterlife, and I discover how much the world and the others miss me. It ends with God being faced with a large decision as to whether or not restore me to the bosom of the earth once again. Q) I heard from someone once that Renegade is the main character in "Return of the Soldier", which Kylen still hasn't put online yet. PLEASE tell me a little about it! Renegade is one of my favorite characters and I see so little of him!!!!! Q) I really love that whole "Heartchild" idea- it's really interesting. Could you answer a few questions please? Like, just what that gives to you, and are all Heartchildren good? Thank you! A) Oooh...I'm going to have fun answering this question... Heartchildren are a rare breed of people- it can be found in any culture in any creature. It's a gift, I should say, from God, that grants us great insight. We have the power to see visions, or talk "beyond the horizon". That means we can sometimes get ourselves into other people's heads, minds, and hearts, and contact them limitingly. You have seen examples of this in "Blessed are the Bleeders". Sometimes, tho, being a Heartchild can be troubling. Sometimes, thru it, we see, hear, and learn things we don't want to. Sometimes our visions are of things we would much rather know nothing about. As for all Heartchildren being good? No. Actually, I consider a Heartchild with a heart of evil to be one of the most dangerous and lethal things in the world. They can control and influence people in a bad way, use all their gifts for dark purposes, and can terrifyingly influence and control the mind of a good Heartchild. In fact, one of Kylen's stories, entitled "The Dark Child", chronicles my encounter with an evil Heartchild, and all hell and horror breaks loose. Thank you for your question. I can go more in depth if needed. Q) What is the name of that music thats playing on your webpage? I absolety LOVE it! A) You are exactly the 24th person to ask me about the music on my front page :) When this website used to feature "The Song Lyrics of the Week", the lyrics to the song on the front page were featured. The song is called "So the Story Goes", one of my favorite songs by one of my all time favorite music duos, Erasure. This is the same music duo that inspired a lot of my art on yerf, including "ofmine.jpg" and "limbso.jpg" and "thorns.jpg". I am glad you enjoy the music :) An mp3 of one of their songs is available on my "And Then There Was One" page right now. Q) Can you please tell me exactly what a First-Walker is and what do they do? A) The most respected and highly known First-Walker is Chavaleh. However, Hilt is also a First-Walker, and several others. The name "First-Walkers" refers to a group of very elite special Road Rover agents. When Proffessor Shepherd was picking dogs for the main Road Rovers team ( ie. Hunter, Colleen, the rest ), he also at the same time picked several dogs to serve as special forces as special agents. These agents are different from the normal Road Rovers agents, which were recruited years later. These First-Walkers were very lethal dogs that specialized in war games and strategies, and were normally only called to duty for emergencies and serious missions in which dogs specializing in war games and fighting are needed. However, First-Walkers, especially Chava, can be found just chilling around Mission Control from time to time, either visiting of there on special occasions. First-Walkers are indeed forces to be reckoned with. Q) I've been waiting weeks for the rest of And Then There Was One! And I kind of have a thing about reading things in order so I can't even start on Blessed Are the Bleeders. When are your stories going to be finished (including Red Snow)? 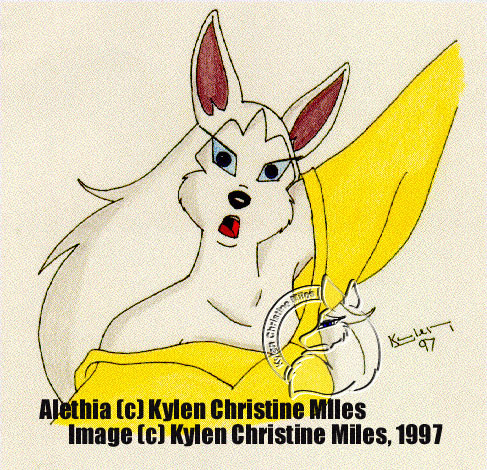 And what the heck happened to Alethia's Journey Thru the Creation of a Road Rovers Drawing? A) LOL. Well, Kylen is a very busy person, and she takes her fanfictions seriously. The reasons they take so long to constantly update is because she is very busy with college and work and her stories are very detailed and enigmatic and she doesn't want to rush through them just for the sake of distribution. However, since college is out for the summer, she has plans to write A LOT on all 3 stories over the summer and update them all every couple weeks. The exact date of when they will be finished is hard to determine. As for "The Journey Thru the Creation of a Road Rovers Drawing, that section was removed for now. It is undergoing construction and will hopefully be back online in a couple of weeks.